Could one question in the independence referendum, without an option for more powers for Holyrood, lead to greater support for Scotland to go it alone? 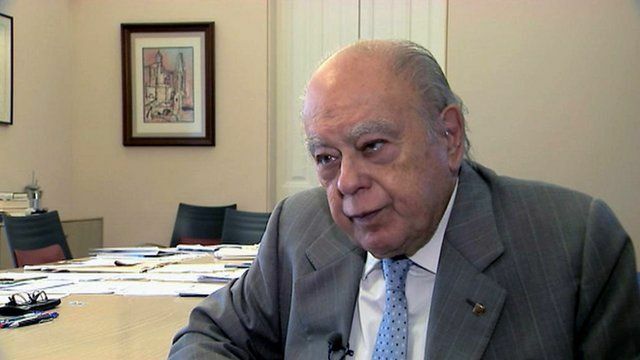 Jordi Pujol, the former president of Catalonia, has said support for independence could increase in Scotland if voters do not get the option of more powers within the UK. The current administration in the Catalan city of Barcelona has called for a referendum on independence after Madrid vetoed further fiscal autonomy last month. BBC Scotland's Niall O'Gallagher reports from Barcelona.